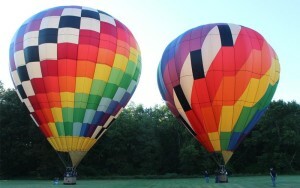 Visitors will find plenty of things to do in Middletown, NY, and the area’s hot air balloon rides have become particularly popular. In fact, flying over the historic Hudson Valley is an experience that you won’t forget. Your balloon will carry you gracefully over rolling hills lush with green, small picture-book towns, and crystal-clear lakes and streams. The fauna will also come out to greet you; on most morning flights, count on catching glimpses of deer grazing on the greenery beneath you and red-tailed hawks riding the currents and thermals about your wake. If you’d like to enjoy such an experience, there are two highly rated Middletown establishments than can make it happen: Fantasy Fliers and Above the Clouds. Above the Clouds has been flying for 30 years, and there hasn’t been a single safety problem in all that time. Flying is simply what they love, and they’ll even treat you to a traditional champagne toast at the end of each flight, plus a photo keepsake that’s perfect for your home or office. Above the Clouds is perhaps best-suited to visitors who would like to head up into the skies above Middletown in a larger group. Their balloons feature larger baskets that can hold 6 to 8 passengers during every ride — that’s twice the number that most balloons can manage. The extra-high sides and padded wicker provide a front row seat for all occupants, and there’s an added sense of security over traditional basket designs. If you’d like to sample the skies of New York State with Above the Clouds, just contact them at 845-692-2556. If you’re in search of a more intimate affair, perhaps a romantic balloon ride with your significant other, try going with Fantasy Fliers. Now celebrating their 34th year in business, the team at Fantasy Balloon Flights offers slightly smaller baskets, and can take you across the Lower Hudson Valley, the Lower Catskills, and the Hudson Valley Region. 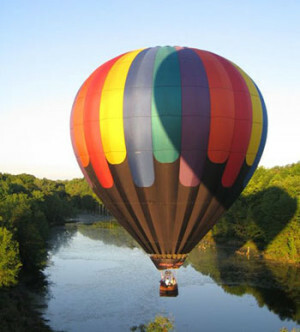 The folks at Fantasy Balloon Flights know just how to make a balloon ride that much more special. In fact, your flying team will be husband and wife Ken and Lana Smith. They’ve accrued over 58 years of combined flying experience and are both FAA Licensed Commercial Pilots. As with Above the Clouds, your unforgettable ride will conclude with a champagne toast. You’ll even be provided with a keepsake flight certificate. You can contact them at 845-856-7103. Whether you go with Fantasy Balloon Flights or Above the Clouds, you can count on enjoying one of the most thrilling experiences of your life. If you’d like to find out more, don’t hesitate to contact either company today. 0 comment(s) so far on Why Not Try a Hot Air Balloon Ride Over Middletown?